Former Associate Editor, The Rising NepalI am no seismologist, but it does not take an expert to understand that the earthquake that took place on April 25 in Nepal with 7.8 magnitude was an apocalyptic catastrophe for an impoverished nation like Nepal. According to news reports, death toll from the devastating earthquakes in Nepal has reached 8,654 and 22,053 people were injured. Meanwhile, news stories about a number of landslides taking place in Nepal in the aftermath of the massive earthquakes – like the one related to Kali Gandaki – have raised questions about the security of the people in Nepal. In order to avoid possible catastrophe, the Nepal government should have the necessary mechanism to evacuate the people and provide safety to the people from the landslides. At this hour of distress, the Nepalese people are sadly discouraged at the inept and slow handling of relief management of the Nepal government. There is little Nepal can do on her own. So the outside help and support are really important and inevitable. There is no doubt that the situation today in Nepal is very chaotic, the nation is in socio-economic turmoil. The memory and impact of the earthquake will be felt by the survivors for decades to come. Nepalese diaspora living across the world are organizing various programs with the purpose of fundraising for Nepal’s earthquake victims. 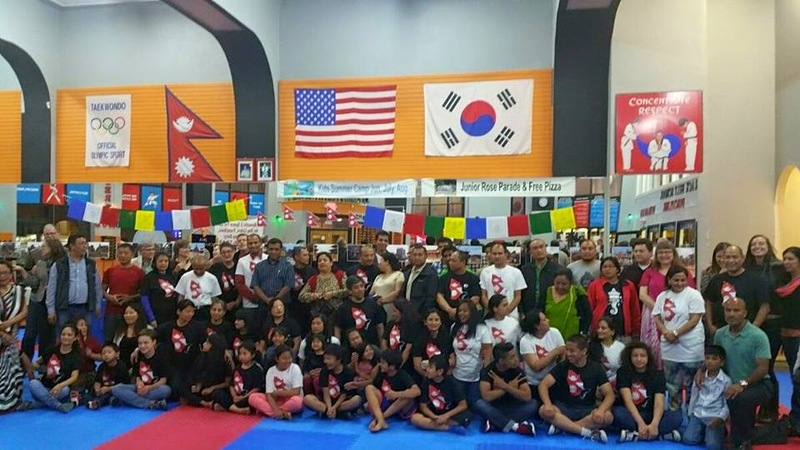 Meanwhile, a fundraiser dinner was organized by Nepalese ReBuild on May 23 at the Nekusingh Memorial Theater, USWC Taekwondo Association, Portland, and according to the organizers, they were able to raise about $2000.00 just from the dinner. As a matter of fact, fundraiser dinner was not confined just to dining alone. Slides and pictures depicting images of devastation and tragedy in Nepal by a series of earthquakes were also shown on the occasion. Other attractions at the dinner were silent auction, Henna and raffle game which were also aimed for the fundraising. One minute of silence was observed on the occasion for ‘rest in peace’ of the departed souls. Contrary to the organizers’ expectation of 100 participants at the dinner, the total number of guests who showed up at the dinner was 157, guests of the dinner program were not only from Portland, its periphery and Salem but from outside of Oregon too. 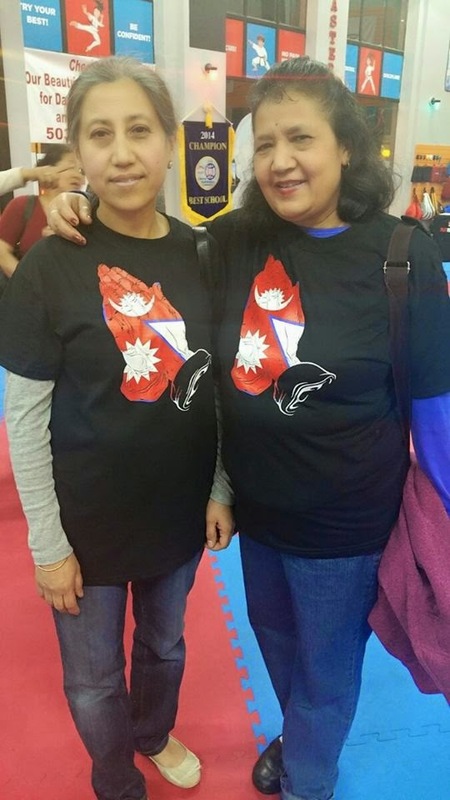 T-shirts depicting the logo “Pray for Nepal” and Nepal’s national flag were also on fundraising sale. Interestingly, more than half of the participants at the dinner were seen wearing the “Pray for Nepal” T-shirts. Speaking on the occasion, Diwakar Maharjan, president of NRN-NCC-USA, Portland chapter, said:”Our thoughts are always with the people of Nepal affected by the massive earthquakes and aftershocks.” Others, speaking on the occasion, were Kathleen Hoag, Karen Blackledge, Bikram Vaidya, Bharat Banskota and Daya Shakya. After the dinner program, a candlelight vigil was also held on the occasion of the Memorial Day in memory of the six US marines and two Nepalese service members who died in a helicopter crash while supporting post-earthquake relief efforts in Nepal. 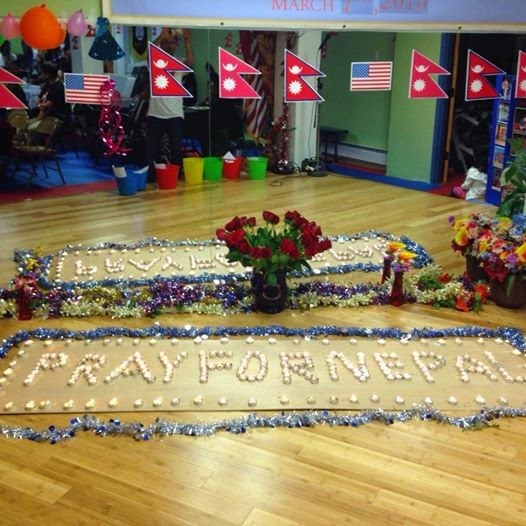 It is to be noted that Nepalese ReBuild, a non-profit organization, was established recently at the initiatives of Diwakar Maharjan in Portland aiming to raise funds to support the earthquake victims, and focusing on providing relief materials. Nepalese ReBuild – which is stepping up activities to provide help to the vulnerable people of Nepal – is accepting donations for the recovery efforts. 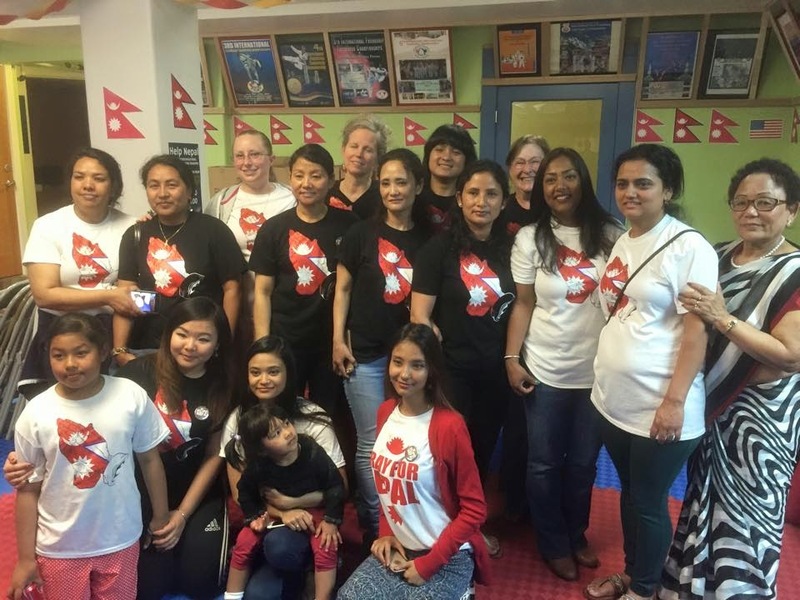 Nepalese ReBuild describes itself as a humanitarian organization working for rebuilding Nepal which was badly devastated by the powerful earthquakes.